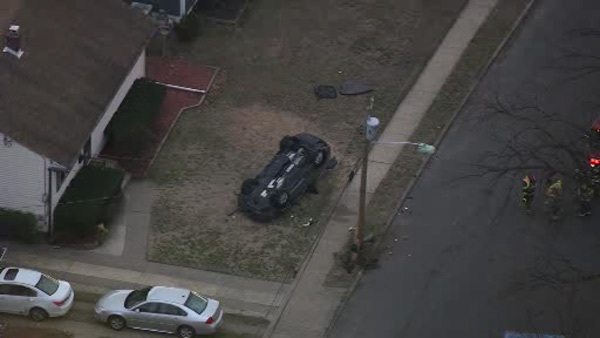 PALMYRA, N.J. (WPVI) -- One person is hurt after a vehicle hit a pole and overturned in Burlington County. It happened just before 5 p.m. Tuesday in the 100 block of West Henry Street in Palmyra. Police say a vehicle hit a utility pole and overturned, briefly trapping the driver. The victim was taken to Cooper University Hospital with non-life-threatening injuries.